Los Angeles, California based Joy Cho is the animated (check out her Instagram!) creative behind Oh Joy!, a design studio that’s no stranger to successful collaborations and their latest is with one of our favorite tile manufacturers, clé. Cho brings her happy, colorful aesthetic to a collection of handcrafted cement tiles featuring whimsical patterns and pastel hues. The tiles can be rotated during installation to change up the patterns for a more random look. 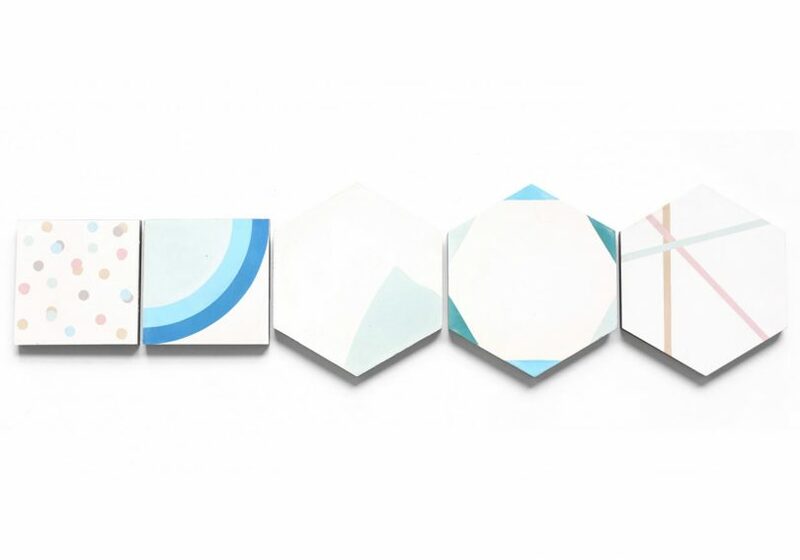 In the collection, there are five designs, two in 6″ square and three in 8″ hex shapes, which work on the floors and walls, and indoors and out.